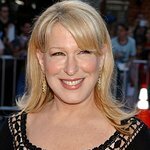 The devine Bette Midler is joining with 50 Cent and Dolly Parton to host her annual Spring Picnic to benefit the New York Restoration Project. The event will take place at Fort Tryon Park, New York City, on May 19, and will include a BBQ and entertainment. Midler founded the New York Restoration Project in 1995 to improve the natural balance of life in the city. The organization is based on the belief that clean, green neighborhoods are fundamental to the quality of life, and that every community in New York City deserves an oasis of natural beauty. Seeing many parks and open spaces in dire need of clean-up and restoration, Midler created NYRP to be the “conservancy of forgotten places,” particularly in New York City’s underserved communities. To raise awareness of the event, Midler has launched an online auction to benefit the NYRP. 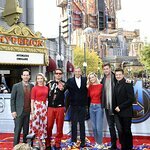 Items going under the hammer include the chance to meet Hugh Jackman on the set of his next movie, front row tickets to see Elton John and Billy Joel, backstage passes to meet Cher, tickets to see Michael Jackson in London, meet-and-greets with John Stamos, LeAnn Rimes, Stevie Nicks, Kristin Chenoweth, Keith Urban, and Bernadette Peters, items from Scarlett Johansson and Mick Jagger, and much more. To make a bid, visit Charity Buzz. To order tickets to the Spring Picnic – which start at $250 – click here.